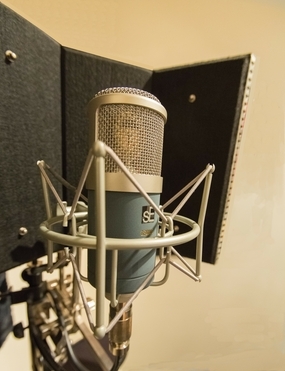 West3 Productions in Acton, West London, offers a friendly, fast and affordable solution for people requiring polished, professional-sounding vocal and voice reels. Studio proprietor Pete Jupp has been active professionally in the music industry for over 35 years. He set up his studio ten years ago, primarily for his own writing and recording projects. Over time Pete increasingly found he was being asked by friends to undertake recording, mixing and programming duties for them. Pete has a wealth of experience in music production and has had many successful releases of his work around the world. Recently, a friend whose daughter had just graduated from The London College Of Music asked if Pete would record a vocal reel for her as she moved into the world of professional theatre. Within days of delivering the vocal reel to her agent Sophie Towns was successfully hired to play Snow White in pantomime. She has since gone on to achieve success performing in theatres across the UK and Europe with lead roles including the part of Dorothy in the Italian tour of "The Wizard Of Oz", Wendy in "Peter Pan" and appearing alongside Ramin Karimloo and Kerry Ellis in the West End production of "Godspell". Check her out at www.sophietowns.com. Read what Sophie said about recording at West3 Productions. Whether you're a relative newcomer or seasoned professional, Pete will use his vast studio experience to make sure you feel comfortable and able to deliver your best performance, thus ensuring you come away with a first-class showreel. Why make a vocal or voice reel? Nowadays all agents and casting agents request vocal or voice reels. It is a quick and convenient way for them to discover what you sound like rather than having to rely on just seeing your headshots and reading a CV. So for an informal chat about your requirements please feel free to call Pete on 07885 095852 to discuss further.